While there are many of us who like to keep and share photos in digital way, some of us also like to print it to get a physical feel. This requires mostly to attach a printer and print, well, that’s quite a long process. People at Prynt has felt this need that some of us like to print a picture instantly, and thus, they have come up with a case that you can just attach with your smartphone, and it will print photos moments after you shoot them. 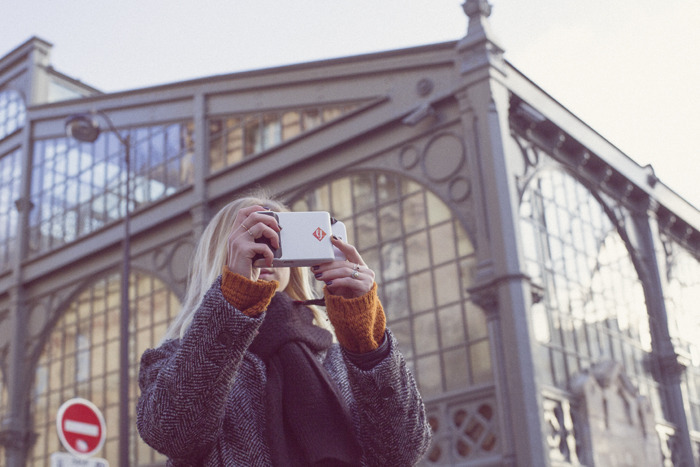 Prynt is a $99 smartphone case which you can just attach to your phone to turn it to a polaroid camera. That said, this case is designed in such a way that it becomes more fun to share memories. You just take a snap, and the case will print the photo for you. The good news about Prynt is that it does not require any ink to print photos. So you just need to buy the case and the paper and you are done. Photos are directly embedded into the paper, thus it has more longevity than a normal printed picture. Apart from camera photos, Prynt can also print pictures from Facebook, Instagram and other photo apps. The use case is really simple, you just take a snap, open the app and it will print the picture, instantly. That’s where augmented reality comes in. You just take a video of 5-10 seconds and Prynt will print a picture, much like a still snap. But upon holding that picture in front of your phone camera, you will see the video start playing in the Prynt app, much like bringing the photo to life. This is pretty cool as from now, you don’t need to exchange files to share memories. You can just snap a video and print it and send it to friends, and they will have it, forever. What about Prynt Kickstarter Campaign? As of now, Prynt has already raised over 750 thousand dollars and still has 22 days to go. We are pretty sure that it will raise over a million dollars easily. With over 4500 backers, this Kickstarter project has become quite viral over the interwebs and netizens are quite excited about it. However, this case is still not in production, and that’s where it needs your help. For early birds, Prynt was priced at $49, which are now all gone. You can however pre-order Prynt at $99 or more and get the case at the earliest. You will also get ten sheets of paper and your name in Prynt Hall of Fame as gratis if you order currently. What phones does Prynt support? For now, Prynt has support for high-end Apple and Andoid phones such as Galaxy S4 and S5, iPhone 5 and iPhone 6. But as this case goes into production, we can expect it to support more phones, specially the low end ones that masses carry. Printer wise, its very portable and photographers can carry it on their trips easily. Augmented reality for videos is great for sharing memories. Requires no ink, no pairing with the phone via bluetooth or wifi. Comes with its own battery, doesn’t pull charge from your phone. Phone case wise, its a bit bulky and not that ergonomic. Available on just a handful of phones for now. You can view the Prynt Kickstarter campaign here.